I pin a lot of prints on Pinterest. Sadly,it's kinda funny but most of our walls are bare. I'm trying to change that and maybe even cover your walls too! One of you will win an 18" x 24" Poster from Uprinting! I'm working on making a poster for Blake and Brady's big birthday bash that I'm planning too! I'll share when I finish it! They also have Canvas prints and reasonable priced at that! To help you create your poster Uprinting has Poster Printing , Poster Templates and Custom Posters! 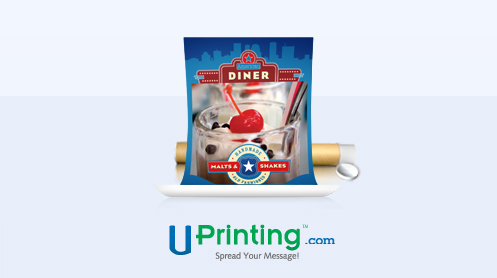 To enter tell me what you would order from Uprinting! This is a fast giveaway so please enter by August 24th at Midnight! Disclaimer:This giveaway is sponsored by UPrinting, no monetary compensation was given and I will receive a poster for hosting. Opinions and everything expressed is my own. I would love to try their canvases! A poster would good for my a craft fair i have coming up.